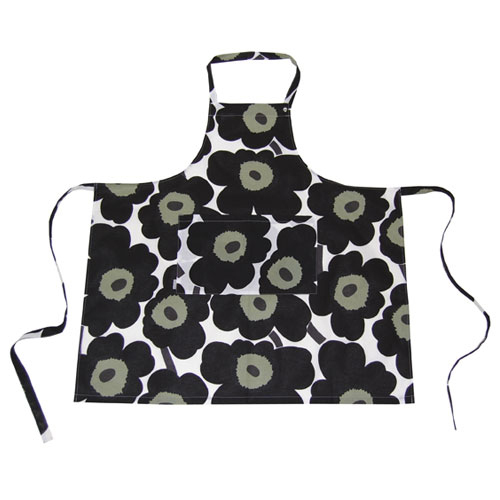 More about Marimekko Unikko Apron - Black The bold poppy pattern by Marimekko is set in black on this classy apron. 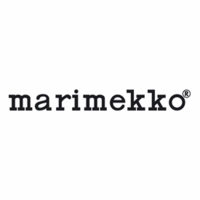 Each apron has an adjustable neck strap with three snaps and a convenient front pouch for holding utensils and recipes. Wish I had bought one for me, too! 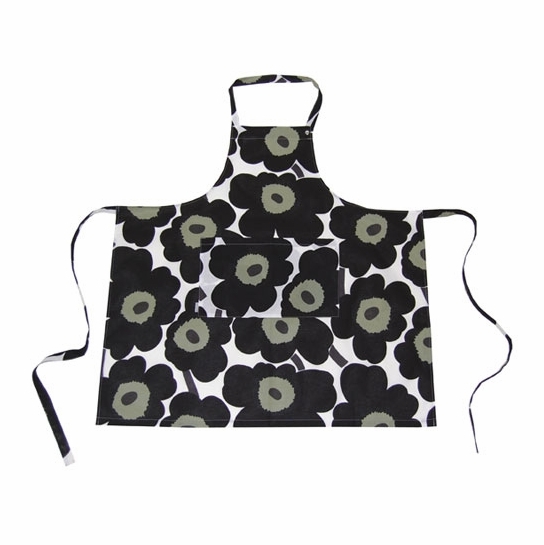 I love this apron! Wish I had not only bought one for my daughter bought t also me!